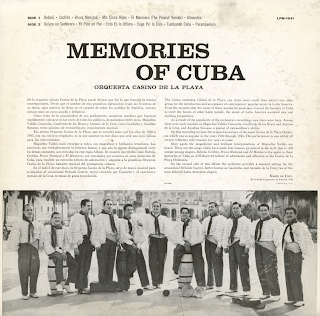 From the back cover: The Cuban orchestra, Casino de la Playa, can claim more credit than almost any other group for the introduction and acceptance of contemporary popular music in Latin America. 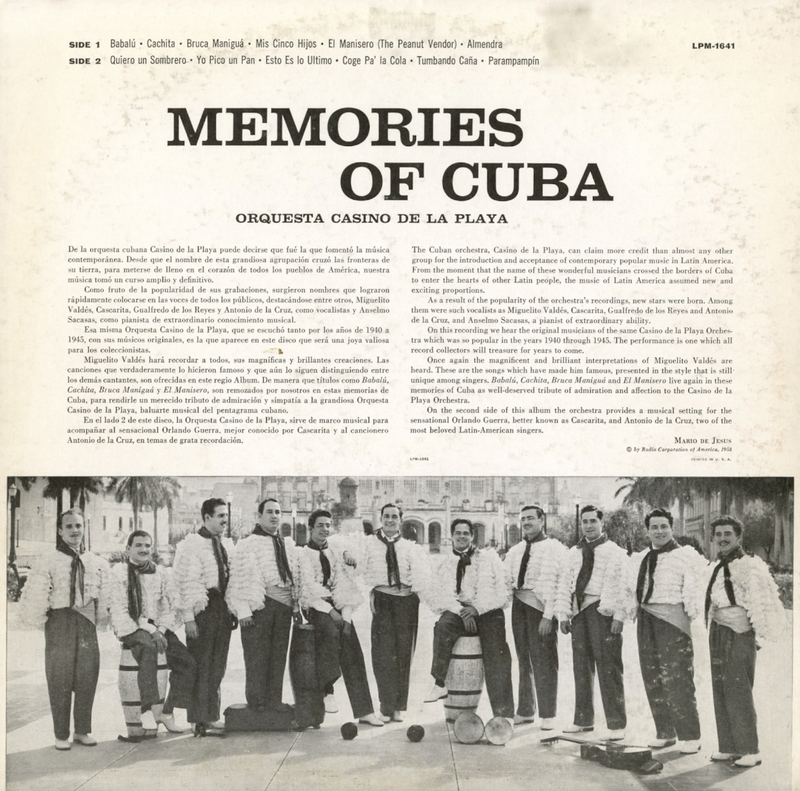 From the moment that the name of these wonderful musicians crossed the borders of Cuba to enter the hearts of other Latin people, the music of Latin America assumed new and exciting proportions. 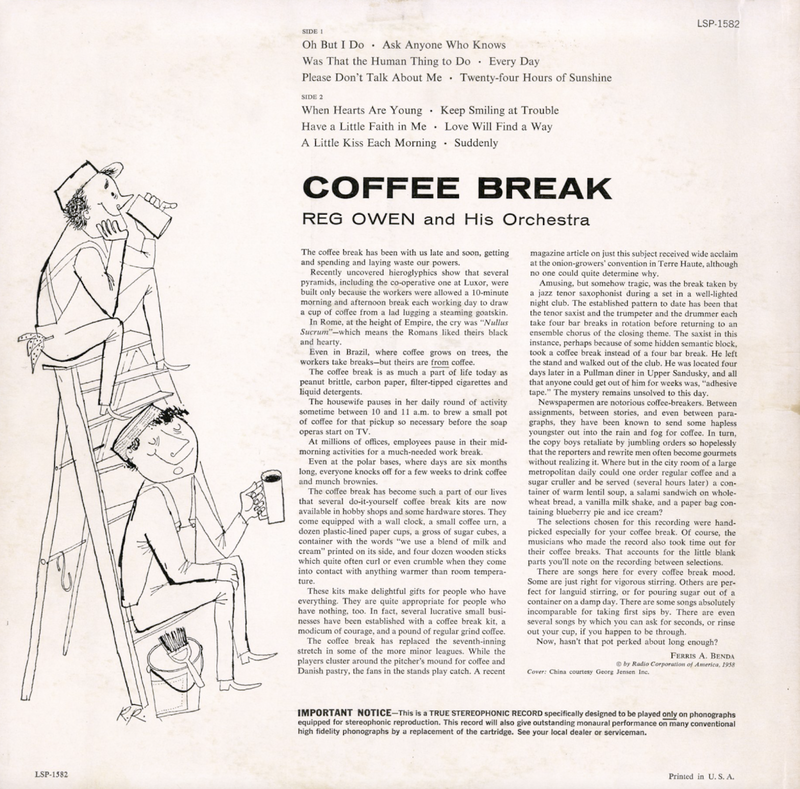 As a result of the popularity of the orchestra's recordings, new stars were born. 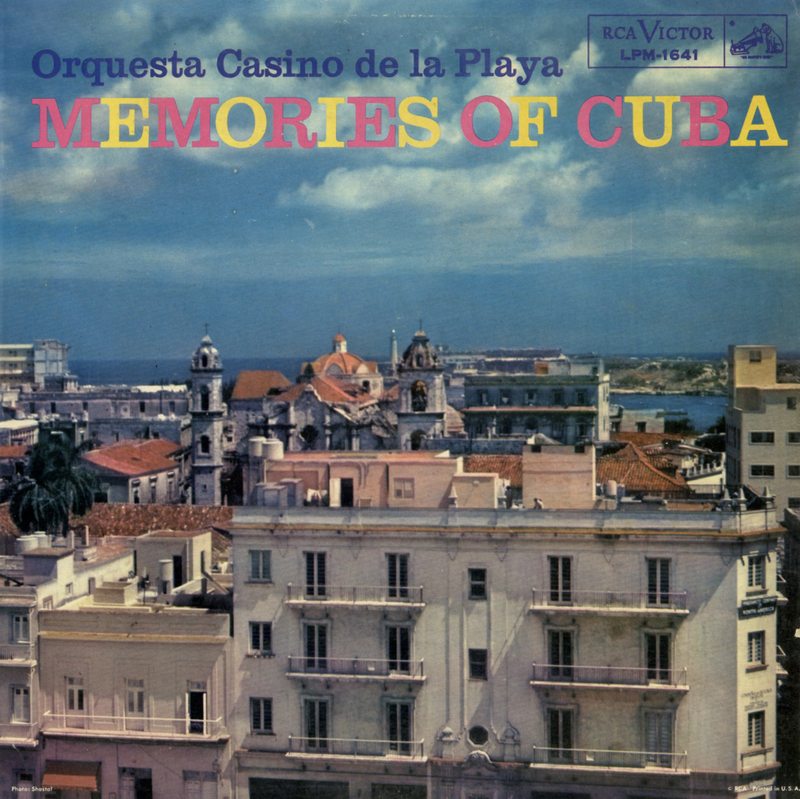 Among them were such vocalists as Miguelito Valdes, Cascarita, Gualfredo de los Reyes and Antonio de la Cruz, and Anselmo Sacasas, a pianist of extraordinary ability. 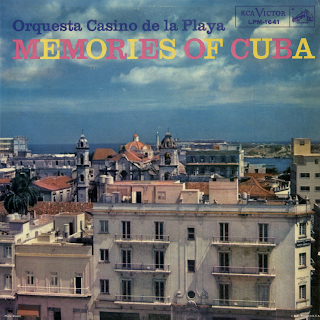 On this recording we hear the original musicians of the same Casino de la Playa Orchestra which was so popular in the years 1940 through 1945. 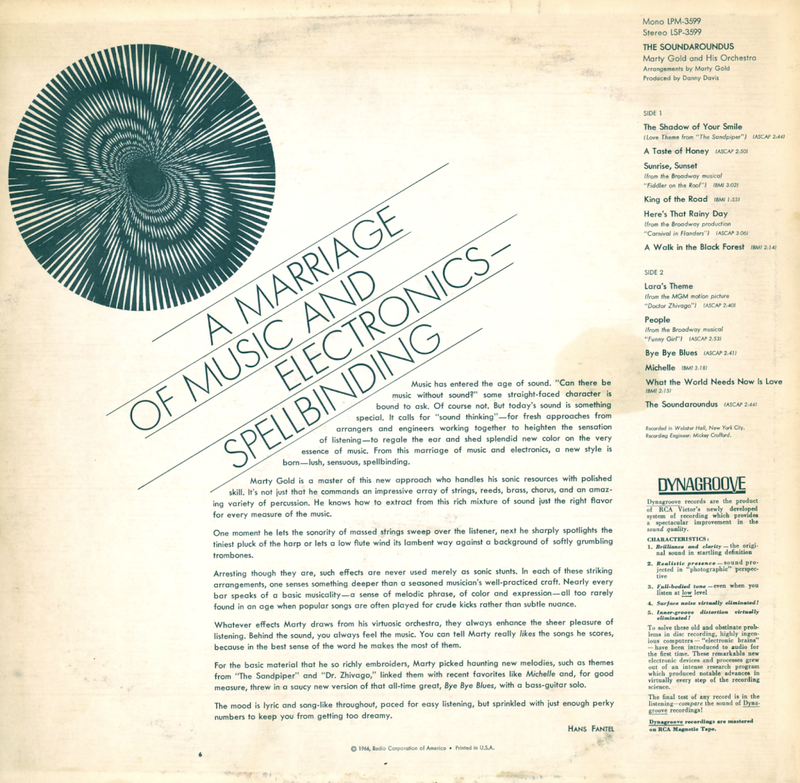 The performance is one which all record collectors will treasure for years to come. 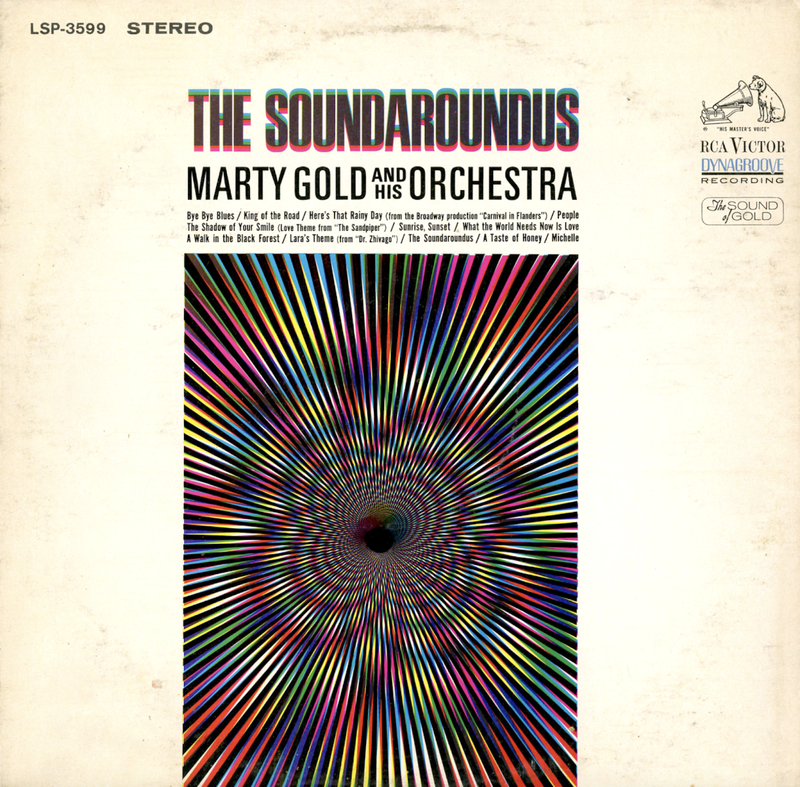 From Billboard - August 23, 1966: Special recording sounds makes this one exceptional! 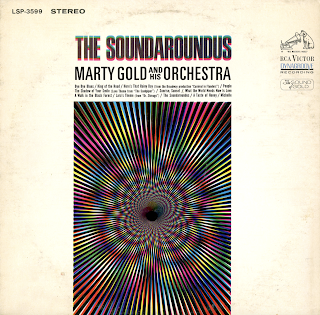 "People," "Michelle," "The Soundaroundus," 9 more. 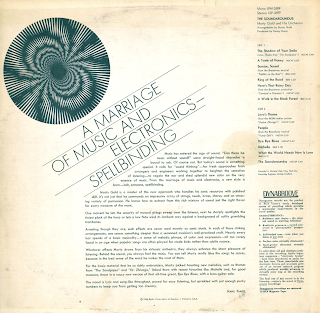 Uneven LP featuring almost no "electronic" playfulness or "groovy" sounds. More of a "late-to-the-market" set featuring a variety of arrangements to showcase quality stereo engineering. 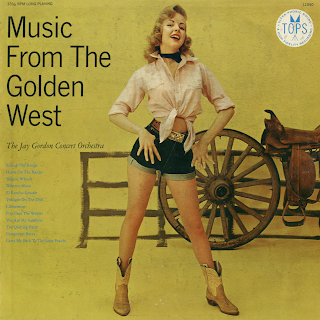 Michelle is a sweetly presented lush strings arrangement. 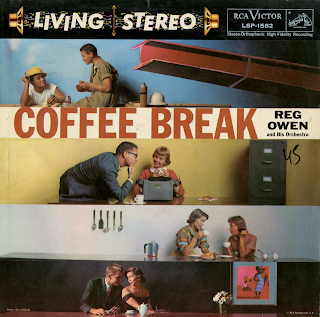 Cover: China courtesy Georg Jensen, Inc.
From Billboard - June 23, 1958: Here's an album of attractive background music, played by the Reg Owen Ork. 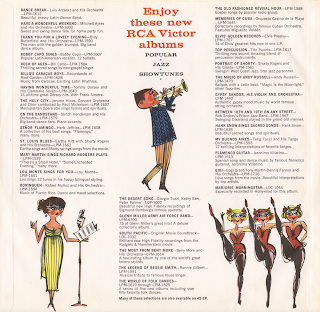 The set is graced with a truly funny set of liner notes penned by that irrepressible altoist formerly on the Vik label, Ferris A. Benda. 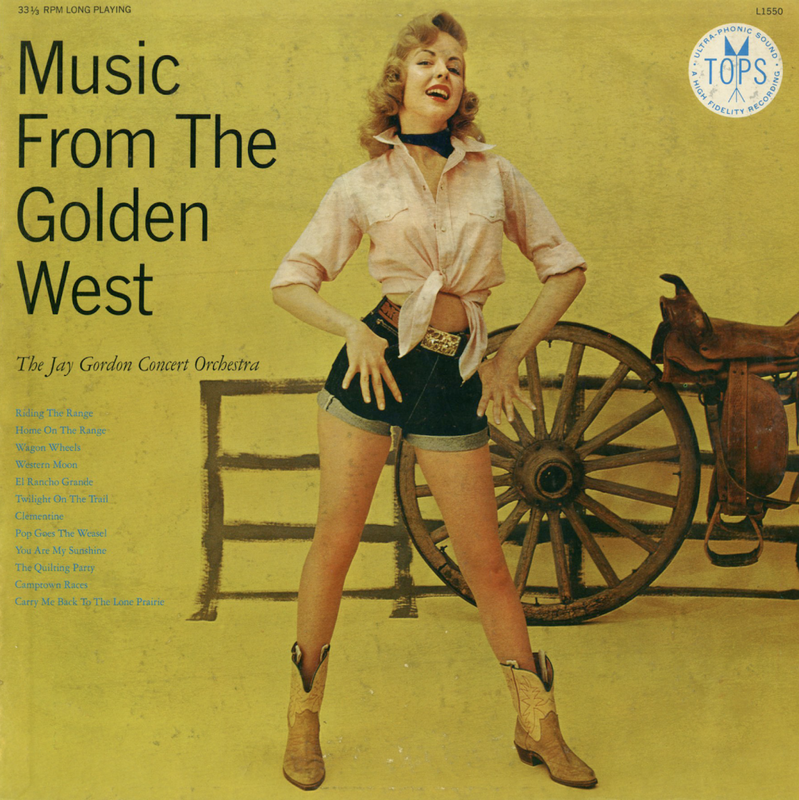 Tunes include standards such as "Oh But I Do," "Was That A Human Thing To Do," "A Little Kiss Each Morning," etc. Intriguing title and cover could help this move. Available from online vendors so I will not be posting a sample. Presented here to share the cover and jacket note excerpts. 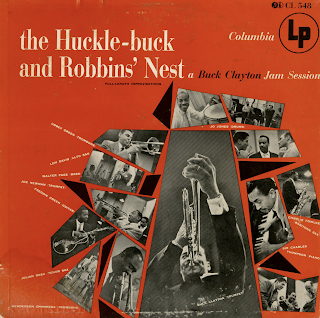 From the back cover: Buck Clayton, trumpet and leader. 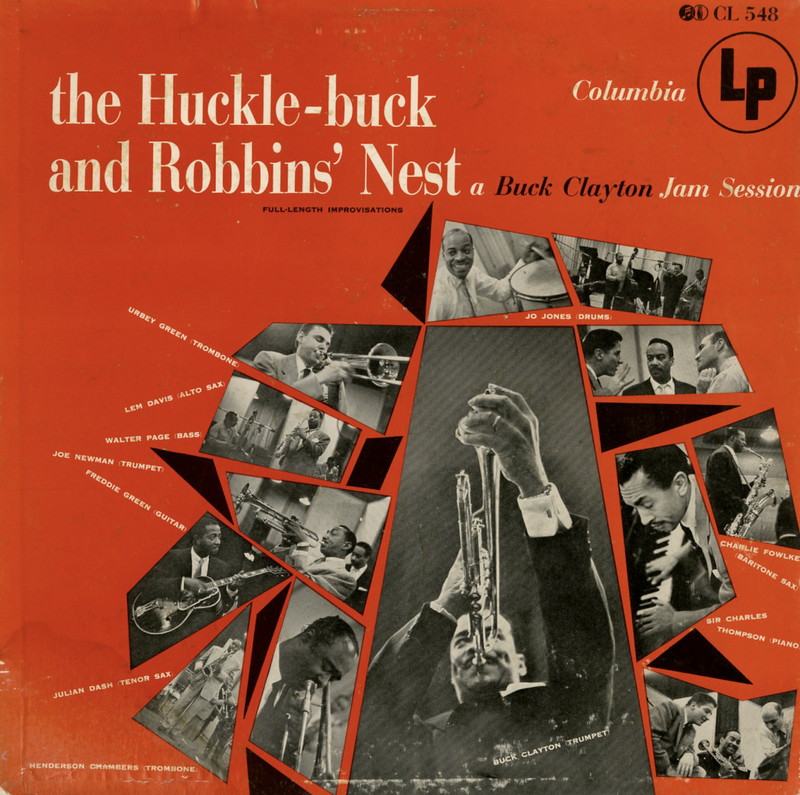 Born in Parsons, Kansas, about forty years ago, Buck became known internationally when he was featured soloist with Count Basie's band from the years 1936-1943. 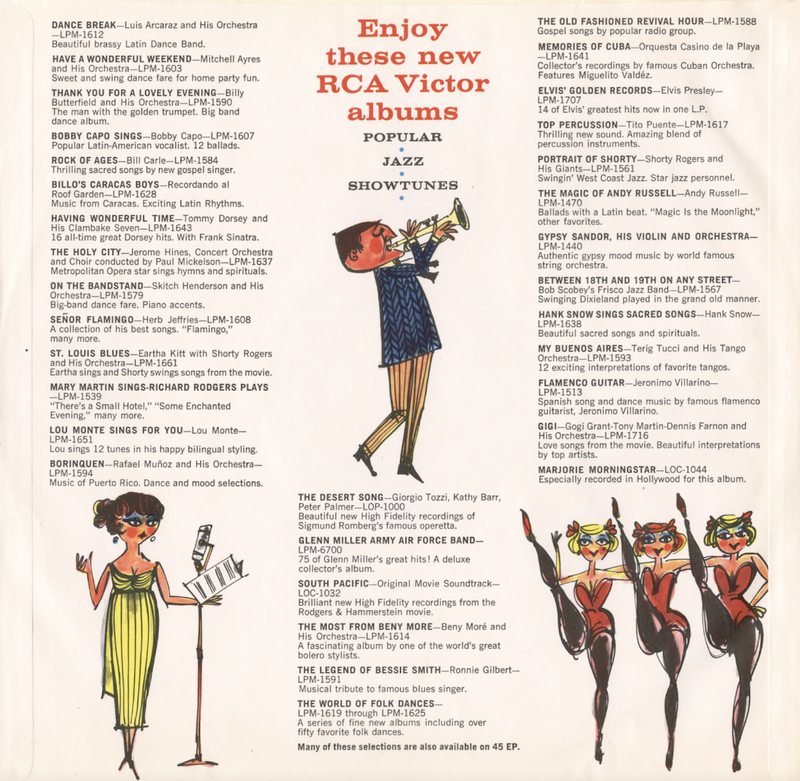 He is also on many of the best Teddy Wilson-Billie Holiday records and was a great artist at the Benny Goodman Carnegie Hall Jazz Concert, Volume 1. He has led bands in New York, Shanghai, and Paris. Joe Newman, trumpet. Joe is now filling Clayton's chair with Count Basie's band, which he joined two years ago. Before that he was with the 'Bama State Collegians, Lionel Hampton, and Illinois Jacquet. Henderson Chambers, trombone. A veteran of the Edmond Hall band at Cafe Society, Chambers has played with Louis Armstrong, Al Sears, and Lucky Millinder, to name a few. Lem Davis, alto sax. 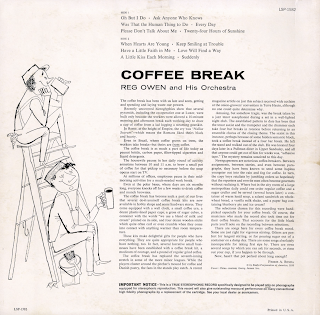 In the days of swing Lem played with Eddie Heywood's great little band. Along came bop; Len heard Charlie Parker, and changed his style. Swinging more than ever, he can now be heard with Teacho WIlshire's combo at the Midway Lounge in Brooklyn, N.Y.
Julian Dash, tenor sax. A loyal alumnus of Alabama State College, Julian made the trek to New York some years back with Erskine Hawkins, whom he has never left. Charlie Fowlkes, bariton sax. After many years with Lionel Hampton, Charlie now provides the foundation for Count Basie's reed section. Sir Charles Thompson, piano. Sir Charles is from Independence, Kansas, the son of a Methodist minister. He has played with the groups of Lionel Hampton, Lester Young, Charlie Barnet, and Illinois Jacquet, among others. He is also an arranger, composer and organist. Walter Page, bass. Back in the late twenties, Bill Basie was playing piano with Page's Blue Devils, the southwest's most exciting band. After a long association as a sideman in the Basie Band, Walter is now a permanent fixture at Eddie Condon's, in New York. Jo Jones, drums. Another Basie veteran, Jo (for Jonathan) recently had the distinction of becoming a father and grandfather within the same week. He has his own combo, which can usually be heard at the Embers, in New York.